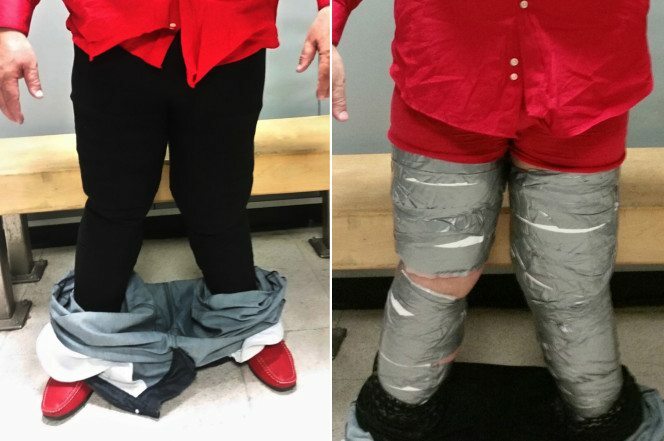 Smuggling pounds worth of cocaine through US customs by taping it to your legs seems to be a new trend. Mayobanex Ruiz Gomez of Dominican Republic was the second person this month busted by US Customs and Border Protection for smuggling the drug through JFK Airport. Gomez arrived at JFK on Thursday from Santo Domingo, DR and during an examination of his suitcase, he appeared nervous, authorities said. 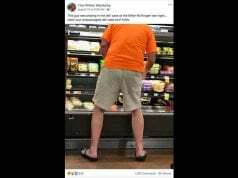 He was then brought in a private search room where customs officers conducted a body search and found roughly 5 pounds of white powder taped to his legs with electrical tape. The powder tested positive for cocaine and it was seized. It has a street value of more than $83,000, authorities said. “This latest seizure demonstrates our CBP officers being ever vigilant in protecting the United States from the distribution of these illicit drugs,” said Leon Hayward, the acting director of CBP’s New York Field Operations. 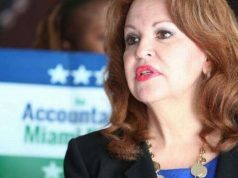 Gomez was arrested on federal narcotics smuggling charges and turned over to Homeland Security Investigations. Earlier this month, customs agents arrested Juan Carlos Galan Luperon, a Manhattan resident, who tried pulling the same stunt when he arrived at JFK also from Dominican Republic. Luperon tried smuggling 10 pounds of cocaine by taping it to his legs. US Customs and Border Protection said the Gomez bust “was like ‘déjà vu all over again” for the agency. MUST READ: What was this man doing when Mount Vesuvius erupted? Next articleMAN POURS GASOLINE ALL OVER HIS HOUSE AND SETS IT ON FIRE TO GET REVENGE ON WIFE!